MORE FUN WITH A MANUAL TRANSMISSIONS Finished in Candy white and complimented by a Titan Black interior, our 2013 Volkswagen Jetta Trendline Plus comes equipped with a fun to operate 5-speed manual transmission! Fly past the gas stations with a 2.0L 4 cylinder engine that just sips the fuel! Come check out the 2013 Volkswagen Jetta Trendline Plus at Orangeville Volkswagen today. LOW MILEAGE SPECIAL! Finished in Candy White and complimented by a Titan Black cloth interior, our 2013 Volkswagen Jetta Trendline Plus was recently traded in with extremely low mileage! Whether you are looking for a low cost vehicle to commute, a second car or a first car, you can't go wrong here! Finished in Deep Black Pearl and complimented by a black cloth interior, this 2015 Volkswagen Golf Trendline comes equipped with a fun to drive 5-speed manual transmission and a 1.8L 4 cylinder engine that provides plenty of pep and great fuel economy! Also equipped with; bluetooth, heated seats, leather wrapped steering wheel, a/c and more! Come check out the 2015 Volkswagen Golf Trendline today! 75,000KM SERVICE COMPLETED AS WELL AS NEW FRONT AND REAR ROTORS AS PART OF OUR VOLKSWAGEN CERTIFIED PRE-OWNED PROCESS. Finished in Reflex Silver Metallic and complimented by a Titan Black interior, this 2015 Volkswagen Jetta Trendline Plus comes equipped with the Appearance Package! What does that do for you? You can pop open the power sunroof this spring and enjoy the fresh air. Turn heads with the sporty 16" Sonoma alloy wheels! Also equipped with; bluetooth, a/c, power group and comes with a clean Carfax! Come check out the 2015 Volkswagen Jetta Trendline Plus today at Orangeville Volkswagen! Finished in Platinum Grey Metallic and complimented by a Titan Black interior, our 2015 Volkswagen Jetta is the perfect economic vehicle! Equipped with a 2.0L 4 Cylinder engine for great fuel economy and paired with a 6-speed automatic transmission for smooth driving, you can't go wrong! Did I mention it only has 50,XXXkm's? Also equipped with; heated front seats, bluetooth, cruise control, power door locks, sirius xm radio & more! Come check out the 2015 Volkswagen Jetta Trendline Plus today at Orangeville Volkswagen! Finished in Pure White and complimented by a Titan Black interior, our 2015 Volkswagen Golf Trendline comes equipped with the cruise control package so you can enjoy an economic and convenient drive! Powered by a 1.8L 4 Cylinder engine and paired with our famous 5-speed manual transmission, you can't go wrong with this fuel sipping hatchback! Equipped with bluetooth, power door locks, a/c, Sirius XM radio & more. Come check out the 2015 Volkswagen Gold Trendline at Orangeville Volkswagen today! CLEAN CARFAX, 75,000KM SERVICE COMPLETED AND NEW FRONT ROTORS AS PART OF OUR VOLKSWAGEN CERTIFIED PRE-OWNED PROCESS Finished in Platinum Grey Metallic and complimented by a Titan Black leather interior. Equipped with the desired 2.0L TDI and paired with a 6-speed automatic, this 2014 Volkswagen Jetta Highline TDI will beat the gas pumps this summer and let you drive with comfort & convenience! Equipped with leather heated front seats, bluetooth, rear view camera, power sunroof & more! Come check out our 2014 Volkswagen Jetta Highline today at Orangeville Volkswagen! This vehicle is an example of the great quality pre-owned cars that we have ready for you to enjoy at Orangeville Volkswagen, Clean Car Fax, Power Sunroof,16" Black Gloss Alloy Wheels,Bluetooth Connectivity,App Connect smart phone integration, Rear View Camera and much more. Take advantage of Volkswagen low rate financing. If you are shopping for a New or Used Volkswagen in our showroom you will find the Orangeville Sales staff is courteous and professional. We carry a wide selection of in-stock New and Certified Pre-Owned Volkswagen models to ensure that the perfect car is always here ready for you. Call or visit us today 519-941-3317 For your convenience, we have Free Wi-Fi, free coffee and a selection of specialty hot drinks available for all of our visitors, along with a comfortable waiting area. NEW FRONT & REAR ROTORS AND TIRES AS PART OF OUR VOLKSWAGEN CERTIFIED PRE-OWNED PROCESS! Finished in a sharp Black exterior paint and complimented by a Titan Black leather interior, our 2014 Volkswagen Jetta is chalked full of value! Equipped with a 2.0L TDI and paired with a smooth shifting 6-speed automatic transmission, you can enjoy your commute in comfort with great fuel economy! Also, equiped with the Technology Package giving you navigation and an upgraded audio system. Did I mention the sunroof? Pop it open this spring and enjoy some fresh air and natural sunlight! The heated front seats will warm you up fast during the cooler mornings, bluetooth to keep you connected hands-free and stylish 17" rims that turn heads! Come check out this 2014 Volkswagen Jetta Highline TDI today at Orangeville Volkswagen! 60,000KM SERVICE COMPLETED AS WELL AS NEW FRONT & REAR ROTORS AS PART OF OUR VOLKSWAGEN CERTIFIED PRE-OWNED PROCESS. Finished in Night Blue Metallic and complimented by a black interior, our 2016 Volkswagen Golf Trendline Plus comes equipped with a 6-speed automatic transmission paired with a 1.8L 4 cylinder engine that boasts great fuel economy! Equipped with heated front seats and washer nozzles, bluetooth, 15" alloy rims, 6.5" touchscreen audio system, cruise control, Sirius XM radio, power door locks, app-connect smartphone integration and more! Come check out the 2016 Volkswagen Gold Trendline Plus today at Orangeville Volkswagen! Our 2015 Volkswagen Tiguan Special Edition comes finished in Deep Black Pearl and complimented by a Titan Black cloth interior. Locally owned with a 1 owner history, you can't go wrong! Equipped with a panoramic sunroof adding an open feeling with the option for fresh air and navigation package to help you find where you are going. Traded in with a second set of tires for the winter time & equipped with 4motion, this Tiguan is ready to tackle winter! Clean Carfax history. 60,000KM SERVICE AS WELL AS FRONT & REAR ROTORS HAVE BEEN COMPLETED AS PART OF OUR VOLKSWAGEN CERTIFIED PRE-OWNED PROCESS. Finished in Platinum Grey Metallic and complimented by a Titan Black leather interior, our 2014 Volkswagen Jetta Highline TDI comes equipped with the hard to find Technology Package. What does this package give you? Glad you asked! Voice activated navigation to help you get where you need to go and the Fender Premium Audio system including 8 speakers and a subwoofer so you can enjoy the tunes while you drive! Don't stop you say? Well there is more; leather interior, heated front seats, bluetooth, back-up camera, 17" alloy wheels, Sirius XM radio, leather wrapped steering wheel & more! Come take a look at the 2014 Volkswagen Jetta Highline TDI today at Orangeville Volkswagen! WOW!! Finished in Deep Black Pearl our 2015 Volkswagen Tiguan equpped with 4Motion packs a bunch of value! Equipped with comfy leather seating, heated front seats, panoramic moonroof & more! Looking for an SUV priced under $20,000 equipped with great features??? Stop looking and start driving towards Orangeville Volkswagen to test drive this well maintaned Volkswagen Tiguan today! USED WINTER TIRE PACKAGE AVAILABLE WITH THIS VEHICLE. BRAND NEW FRONT & REAR ROTORS AS PART OF OUR VOLKSWAGEN CERTIFIED PRE-OWNED PROCESS. WOW! Looking for a luxurious commuter vehicle with extremely low mileage? How about our 2014 Volkswagen Jetta Highline TDI with less than 15,000km!!! You don't come across vehicles like this often... Equipped with leather, heated front seats, rear view camera, power sunroof, bluetooth & more! 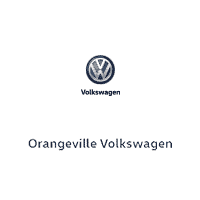 Come take a look at Orangeville Volkswagen Today! BRAND NEW FRONT PADS & ROTORS, 75,000KM SERVICE COMPLETED AS PART OF OUR VOLKSWAGEN CERTIFIED PRE-OWNED INSPECTION! Finished in Deep Black Pearl and complimented by a Titan Black leatherette interior, our 2015 Volkswagen Golf Comfortline comes equipped with the desired TDI engine boasting great long distance fuel economy. Are you a commuter looking for a little bit of luxury, comfort and savings? Check out our Golf equipped with heated front leatherette seats, 16" alloy wheels, bluetooth, sunroof, rear view camera, leather wrapped steering wheel & more! Come drive it today at Orangeville Volkswagen! BRAND NEW FRONT & REAR ROTORS, 60,000KM SERVICE COMPLETED AND NEW TIRES AS PART OF OUR VOLKSWAGEN CERTIFIED PRE-OWNED PROGRAM. Finished in Pure White and complimented by a Titan Black leather interior, you can't go wrong with the 2015 Volkswagen Tiguan Comfortline 4Motion! Equipped with the desired Technology Package giving you; voice activated navigation, Fender premium Audio system with 8 speakers and a subwoofer, keyless entry and more! Vehicle also equipped with; leather, heated seats, bluetooth, back up camera, a/c, sirius xm radio and more! Come check out the 2015 Volkswagen Tiguan Comfortline 4Motion today at Orangeville Volkswagen! ONE OWNER AND CLEAN CARFAX HISTORY Finished in Pure White and complimented by a Titan Black leather interior, our 2016 Tiguan Highline 4Motion comes equipped with the rare R-Line package! This gives you a unique sport suspension, R-Line steering wheel with paddle shifters, 19" alloy rims, led signature lighting on the front headlights, body coloured lower body panels & more! Also equipped with; leather seats, heated front seats, bluetooth, navigation, dual panel moonroof, silver roof rails, auto-dimming rear view mirror, touchsceen audio system, 12-way power driver seat with adjustable lumbar support & more! Come check out the 2016 Volkswagen Tiguan Highline 4Motion with R-Line today at Orangeville Volkswagen!